In the world of 1970s motor racing, Hurley Haywood was cool, calm and collected. A five-time "24 Hours of Daytona" winner, three-time Le Mans winner and Trans-Am champion, Haywood was a Hollywood archetype: a strikingly handsome man brought up by an affluent Midwestern family. Yet Haywood was often overshadowed by racing partner and volatile mentor, Peter Gregg - the Batman to his Robin - whose abrupt death in 1980 shook the sport to its core. And yet Haywood had secrets of his own. Despite constant public appearances with women, some that included Penthouse models, he remained elusive about his personal life. 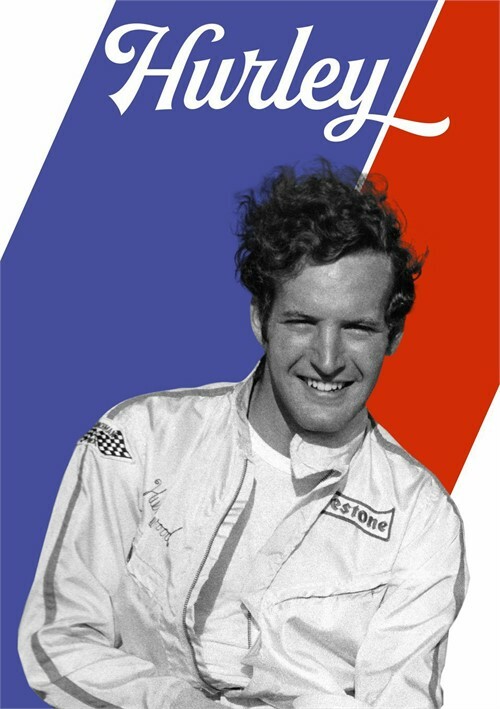 With deft use of archival footage and exclusive interviews featuring actor and fellow racer, Patrick Dempsey, Hurley reveals a greater insight into Haywood's tightrope walk between career and sexuality, while posing the question - will motorsport ever be ready for openly LGBT racers? Director Derek Dodge's new documentary about Hurley Haywood deconstructs the perception that cars and manliness often go hand in hand. "A man who packs a good engine makes the ladies go vroom vroom in popular culture and few items symbolize an idea of masculinity as much as a car does." That perceived relationship between cars and masculinity with its revealing portrait of 1970s racing icon Hurley Haywood suddenly changes everything about how we have thought about men and cars. Haywood's accomplishments as a motorist include five victories at 24 Hours of Daytona, three triumphs at Le Mans, and many, many wins at other circuits and races. In "Hurley", we see Haywood as a master behind the wheel as he navigates the circuit in his signature Porsches and decaled in sponsorship from Penthouse, sometimes with a photo of a centerfold model linked to his arm on the podium making Hurley look like the hallmark of manliness. We know that appearances, are deceiving and we see in this film that Haywood is finally ready to come out and reveal his true self after decades of living in the spotlight and closet alike. Now at 70 years old, Haywood admits in an interview with Dodge that this film is his first public declaration of his sexuality. This is sad and empowering at the same time. We see Haywood reflecting about being a closeted gay while driving in a sport of hyper-masculinity. The audience, in turn, is asked to consider the happiness withheld from Haywood and other queer celebrities. We do not see remorse in Haywood's candid interview, but rather resigned acceptance that the nature of the sport denied him the right to come out and properly enjoy the spotlight. Many of the talking heads have something to say about how difficult it must have been for Haywood to conceal his personal life while winning on the racetrack. His sister speaks of a conservative upbringing, while actor/racer Patrick Dempsey talks about Haywood's legacy. Dodge's interviewees reiterate observations on the gendered nature of auto racing and the manufactured image of masculinity it presented to sell tickets and sponsorships. The film speculates as to whether Haywood was involved with his racing partner and mentor Peter Gregg, which proves problematic when the latter isn't present to speak for himself. Many claim that Gregg would have been a master of disguise if he were gay. They agree that racing and the pressures of the spotlight hurt him by keeping him in a different closet: that which prevents someone from seeking help for mental illness. "Hurley" doesn't conflate mental illness with homosexuality even while it gives details of Gregg's suicide in 1980; instead it brings the film to a cathartic climax as Haywood relates to the awful feeling of isolation and despair. He uses his story and the tragedy of his late mentor to encourage others to find comfort in speaking up and out. Unfortunately, the film does not ask if and how coming out could have shaped the game and the industry, but Haywood's tale is certainly not unique among sports stars. It does invite the new generation of racers to be proud of who they are.